is between one thing and another. 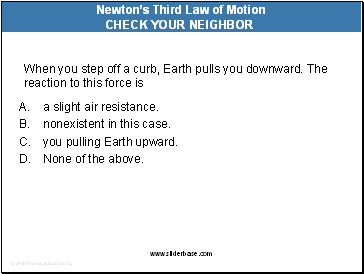 requires a pair of forces acting on two objects. Force pair—you push on wall; wall pushes on you. 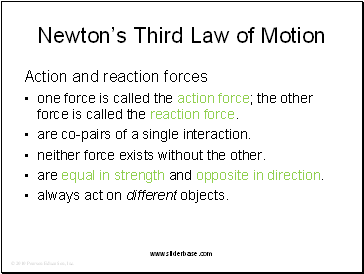 A. somewhat less than 1500 N.
somewhat more than 1500 N.
one force is called the action force; the other force is called the reaction force. 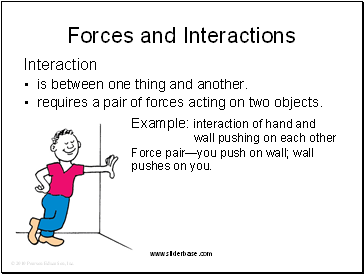 are co-pairs of a single interaction. neither force exists without the other. are equal in strength and opposite in direction. always act on different objects. 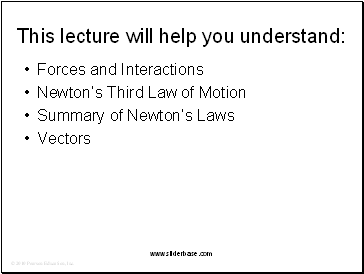 Reexpression of Newton’s third law: To every action there is always an opposed equal reaction. 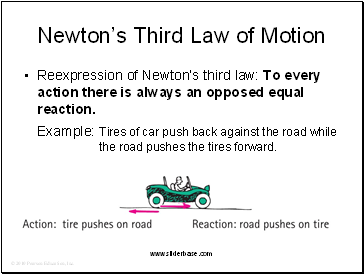 Example: Tires of car push back against the road while the road pushes the tires forward. 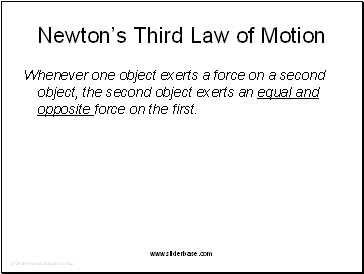 Action: Object A exerts a force on object B. 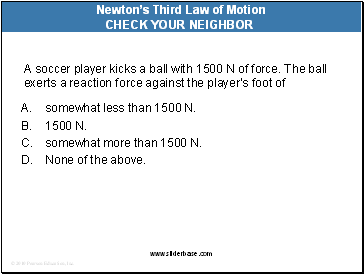 Reaction: Object B exerts a force on object A. 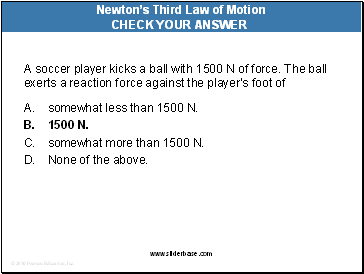 Example: Action—rocket (object A) exerts force on gas (object B). 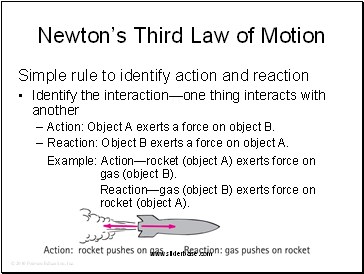 Reaction—gas (object B) exerts force on rocket (object A).